Fish oil supplements that contain DHA (the omega-3 fatty acid docosahexaenoic acid) are marketed to pregnant women as a way to support brain development. After all, who doesn’t want their child to be smart? However most clinical trials that have examined the impact of DHA on brain development are underpowered – that is, they don’t contain adequate subject numbers to draw reasonable conclusions – or have methodological limitations. A large and robust trial of 500 South Australian mother-child pairs has just been completed. Women were given high-dose DHA or a vegetable oil placebo throughout the second half of pregnancy. Comprehensive assessments of child intelligence, language, behaviour and executive functions (complex high-order skills) at 18 months, 4 years and now 7 years have consistently shown no benefit of fish oil supplements. It has taken more than 10 trials of DHA supplements in pregnancy with over 5,000 women to evaluate initial claims that fish oil can make kids smarter, but we finally have an answer: if you have a normal pregnancy and eat a varied diet, then they don’t. How did the focus on fish oils start? The link between fish oil and the brain began when it was discovered that the brain is rich in the omega-3 fatty acid called DHA. Fish, and fish oil, is rich in DHA, although smaller amounts can also be found in egg yolk and the lean tissue of red meat. Once eaten, DHA is absorbed into the blood stream to be distributed to the body. The more DHA we eat, the higher the level of DHA in our blood. This is important for the unborn baby, who receives DHA from mum’s blood. DHA is transferred from the mother to the baby by the placenta. Large amounts of DHA go to the baby’s brain, particularly in the last trimester when the brain undergoes a rapid growth spurt. 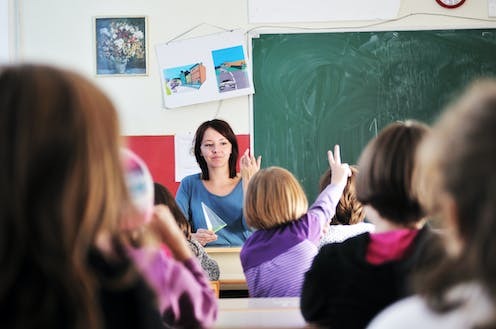 The supply of DHA during this important period of brain development is crucial. Infants who are born preterm miss the placental supply of DHA and have lower levels in their brain. 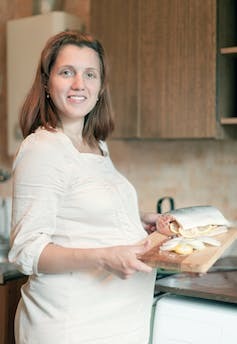 The idea that fish during pregnancy will make children smarter was supported by a 2007 observational study of seafood intake at 32 weeks pregnancy in over 5,000 UK women. Children up to three and a half years old were more likely to have lower motor, social and communication skill scores if mothers ate less than three portions of seafood a week. There was no association between seafood intake and IQ measured at 8 years, but women who ate less than three portions of seafood a week were more likely to have a child with a lower verbal IQ score. Many interpreted these finding as showing benefits of eating fish during pregnancy for child brain development. Supplement manufacturers have used the finding to market benefits of fish oil, leading the general public to believe that DHA supplements for pregnant women are beneficial for brain development. Experts were less convinced. Observational studies such as this don’t prove that eating fish will make a child smarter because of confounding factors that also influence child development. In this study, for example, women who ate less than three portions of seafood a week had lower levels of education, were more likely to be smokers and were less likely to have breastfed their child. Only randomised controlled trials can prove cause and effect, because all confounding factors are evenly randomised between the treatment and placebo groups. Our trial was the first with a large sample and consistent assessments at important developmental periods with excellent follow-up rates. Do any supplements support brain development in pregnancy? Fish oil is not the only supplement once assumed to improve child brain development that has now been refuted due to lack of scientific evidence. Prenatal iron and iodine were both once considered beneficial, but have limited effectiveness when the mother is not deficient in these nutrients. Too few studies have investigated zinc or multivitamins during pregnancy for babies’ brains. As with the fish oil studies, most of the women in these trials have had a varied diet and are unlikely be deficient in these nutrients or benefit from excess supply. Certain groups of women, such as vegans or vegetarians may benefit from other supplements. While DHA supplements may not make your baby smarter, there are suggestions of other possible benefits. Several trials of DHA-rich fish oil during pregnancy have found a slight increase in the length of pregnancy in women taking the supplement. This has led to small decreases in the number of children born very preterm in these studies. While further studies are needed to prove this effect, DHA is one of the only interventions that has been identified with the potential to prevent preterm birth. DHA is known to have a role in the immune response to inflammation and infection. A review of DHA supplements in pregnancy has found children with a high-risk of developing an allergy, such as if they have a close family member with an allergy, may be less likely to develop an allergy. It’s worth noting here the dose of DHA used in these trials showing possible benefits is typically double-to-quadruple times the dose in off-the-shelf prenatal supplements. Further work is needed to prove these effects. A healthy, varied diet is the best way to ensure all nutrient requirements are met. There is general consensus fish should be part of a healthy diet during pregnancy; it is an excellent source of DHA and other omega-3 fatty acids, protein and a variety of vitamins and minerals. However, some (predatory) fish species such as shark and swordfish contain mercury, which is likely to be harmful to an unborn baby. Intake should be limited to species that are safe for pregnant women to eat, such as salmon and tinned light or skipjack (not albacore) tuna. Jacqueline Gould receives funding from the Women's and Children's Hospital Foundation. Maria Makrides receives funding from NHMRC for this study and for her salary. Maria has previously served on advisory boards for the Nestle Nutrition Institute and Fonterra, for which honoraria were paid to her employing institution.